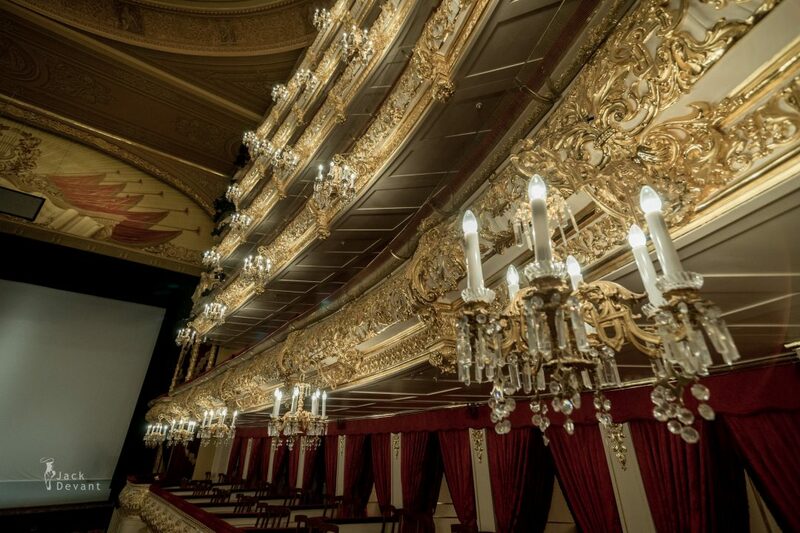 Bolshoi Theatre in Moscow, Russia. 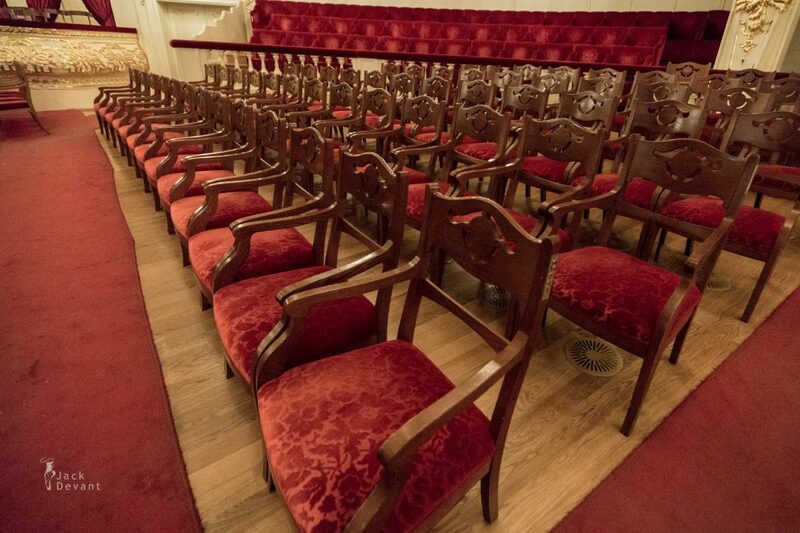 Interior shots made May 27th 2015. 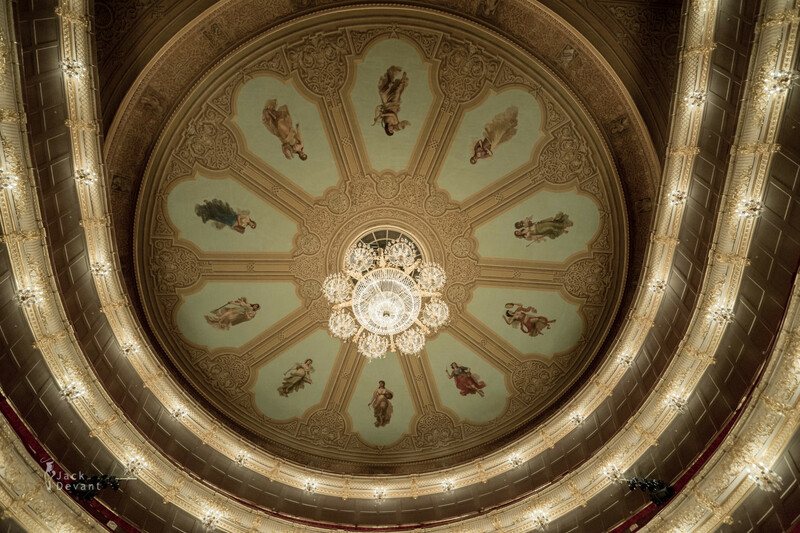 The Bolshoi Theatre (Rus. 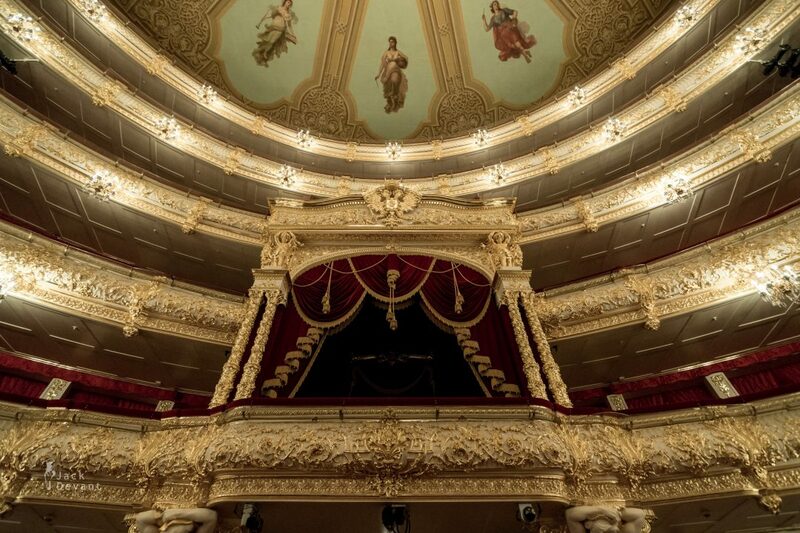 : Большо́й теа́тр) is a historic theatre in Moscow, Russia, designed by architect Joseph Bové, which holds performances of ballet and opera. 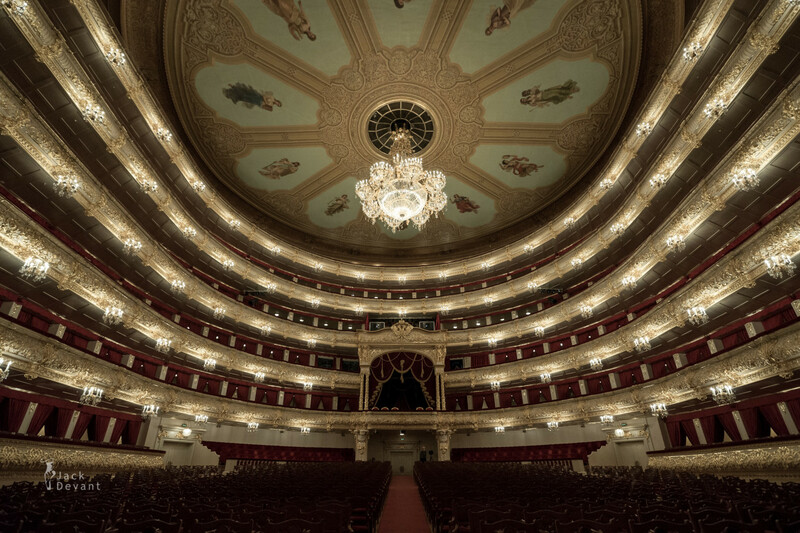 The theatre’s original name was the Imperial Bolshoi Theatre of Moscow, while the St. Petersburg Bolshoi Theatre (demolished in 1886), was called the Imperial Bolshoi Kamenny Theatre. At that time, all Russian theatres were imperial property. 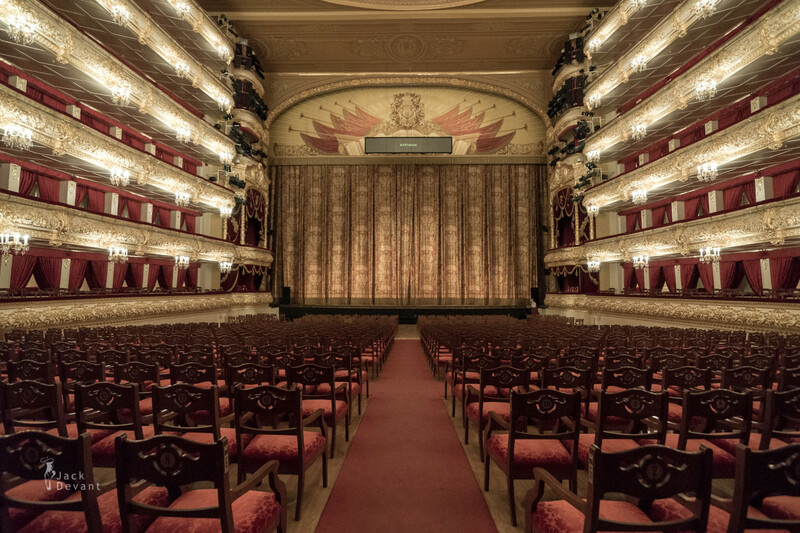 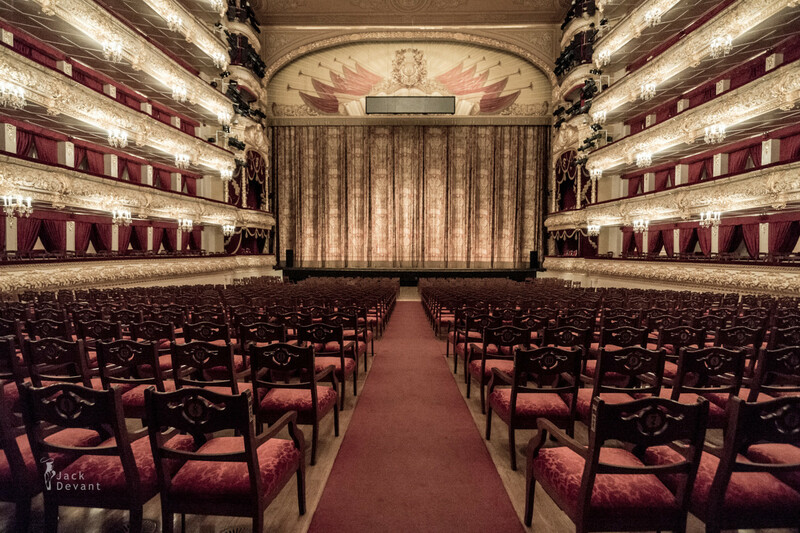 Moscow and St. Petersburg each had only two theatres, one intended for opera and ballet (these were known as the Bolshoi Theatres), and one for plays (tragedies and comedies). 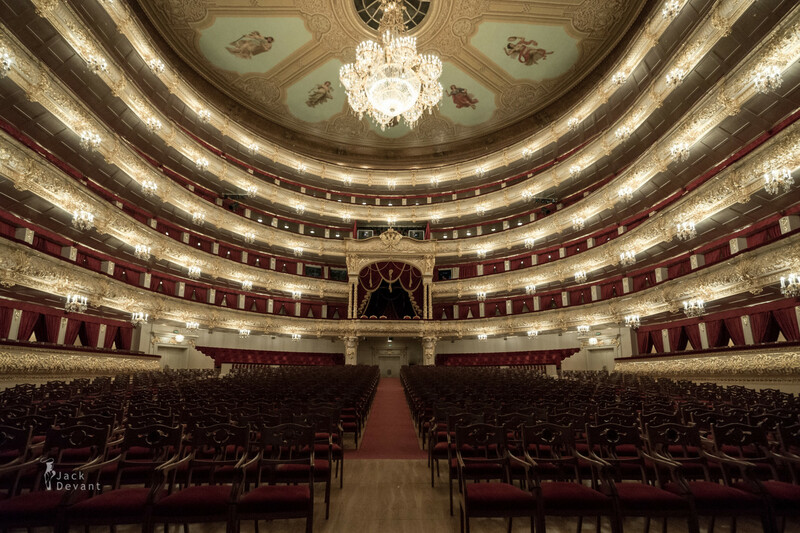 Because opera and ballet were considered nobler than drama, the opera houses were named “Grand Theatres” and the drama theatres were called the “Smaller Theatre”. 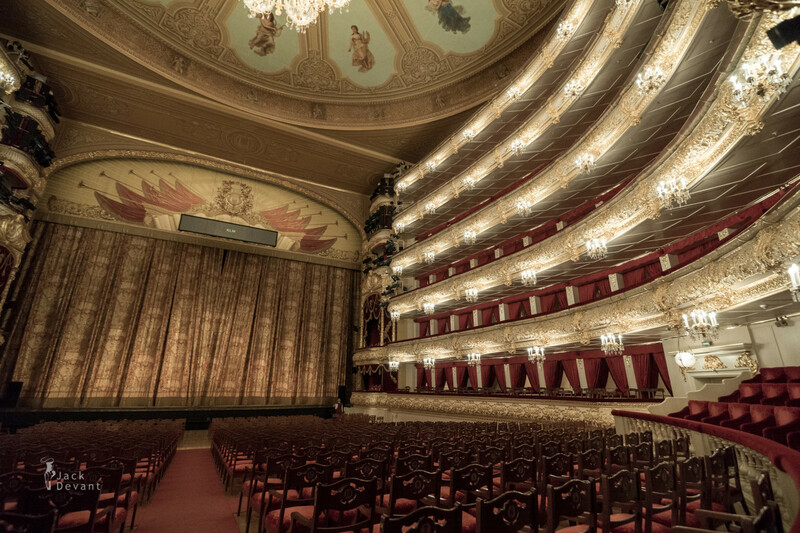 The Bolshoi Ballet and Bolshoi Opera are amongst the oldest and most renowned ballet and opera companies in the world. 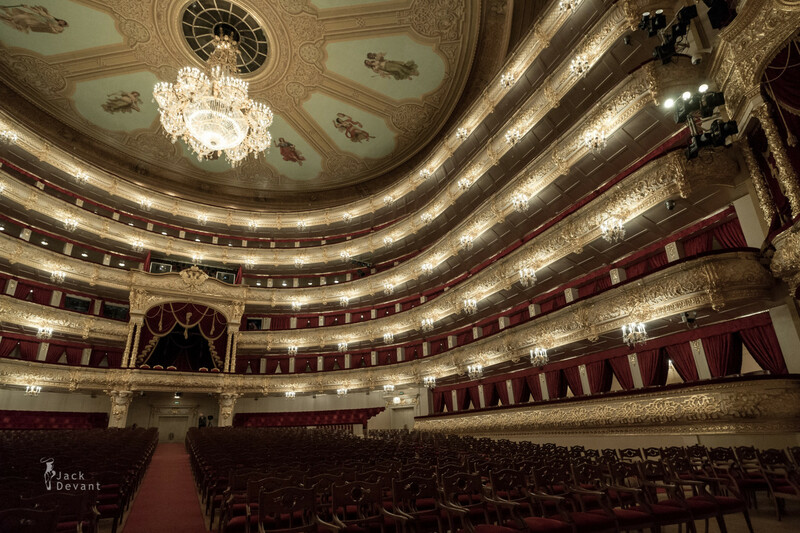 It is by far the world’s biggest ballet company, having more than 200 dancers.